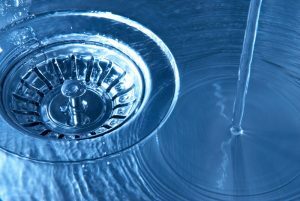 Drain Cleaning | Ken Neyer Plumbing, Inc. When we tell you to “watch out for FOG!”, we don’t mean to be cautious of sinister figures lurking in a mist spreading across the city at night. (Although you should always drive cautiously in fog, no matter the time of day.) The “fog” we’re talking about is FOG, an acronym for “fats, oils, and grease.” They are some of the worst things that can affect the drains in your home—specifically the kitchen drain, although they can get down into the sewer line as well and make trouble for the entire house. If you’re cautious about preventing FOG from going into the drains, you can reduce the chance of having major clog problems. The bathroom uses more water than any other room in the house. Considering how much water goes to daily showering, this makes a lot of sense. The toilet alone accounts for 40% of all indoor water use. You probably won’t be surprised to learn that a large part of the work of a professional plumber centers on providing installations, repairs, and maintenance for the bathroom plumbing. We’ve been handling professional plumbing in Cincinnati, OH since 1972, so we’ve seen just about every type of bathroom plumbing trouble that can possibly exist. To help you get a better understanding of the sort of repairs you may need for your bathroom’s fixtures, pipes, etc., we’ve put together a list of the most common plumbing troubles in this room. The first two months of a new year bring the realization that you actually have to do something about any resolutions you made. Even if you didn’t make any resolutions, this is the time when you want to plan improvements for your house and put everything in order in the wake of another busy end to another year. This brings us to … the garbage disposal. An unfortunately named device that shouldn’t ever have garbage in it. (Ask any plumber and they’ll tell you they wish it were named something else. In Canada, they’re called garburators, which a bit better but still too close to garbage.) You may experience a garbage disposal that doesn’t smell too good. Sending off rotten, unpleasant smells. Sometimes it means the garbage disposal needs cleaning, or even a replacement. But it might not be the disposal—it could mean you need Hamilton, OH drain cleaning service. Can a Drain Snake Solve Any Clogged Drain Problem? Everyone would love to have a magical household tool capable of solving any dilemma. Sort of like a Swiss Army Knife of home tools. People often treat duct tape as this type of cure-all (although, bizarrely, it doesn’t work on ducts). 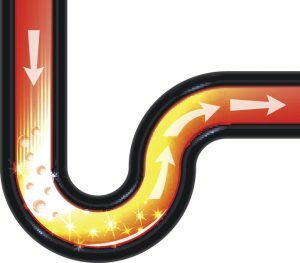 When it comes to plumbing, the drain snake, a.k.a. the drain auger, is elevated to the same lofty position of the Answer to All Drain Troubles. The One Drain Unclogger to Rule Them All! The Once and Future Drain Opener! None of this is true, of course. No matter how much people wish it were. Posted in Drain and Sewer | Comments Off on Can a Drain Snake Solve Any Clogged Drain Problem? We know you take pride in your house and always aim to make it as clean and welcoming as possible. The end of the year, when you’re likely to be entertaining more guests and family members than usual, is when you’ll be especially concerned with the cleanliness and overall pleasantness of your home. Nothing can ruin that pleasantness faster than the rank smell of sewage wafting from the plumbing! Even if no guest enters your house, you don’t want to live with this kind of odor. Not only is the sewer gas you’re smelling noxious, but it’s also unhealthy to breathe, causing symptoms like dizziness and respiratory problems. Professional cleaning of drains is an important plumbing job. It’s also misunderstood, and this leads to many homeowners neglecting to have it done at the right time, or attempting to do it in a way that ends up creating more problems. We’ve been handling drain cleaning in Hamilton, OH and throughout Greater Cincinnati for over 40 years, so we have an in-depth understanding of the best way to handle this service and the best times to have it done. To improve your home life with better plumbing, we’d like to go over some important facts about drain cleaning to help clear up some of the most frequent misunderstandings about this service. “Everything but the kitchen sink.” This is a phrase meaning “anything and everything.” Of course, as professional plumbers, we feel that the phrase should be, “The kitchen sink and everything else.” That’s because kitchen sinks are a major part of the work we do. Today, we’re going to look at some of the more common problems a kitchen sink can have. 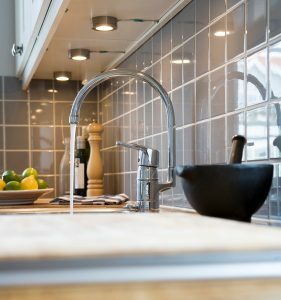 If you encounter one of these troubles in your kitchen, you don’t have to look far for the plumbing services in Fairfield, OH that will fix it: you can reach our plumbers any time of the day or night! Drain clogs are one of the unfortunate hassles of daily life. 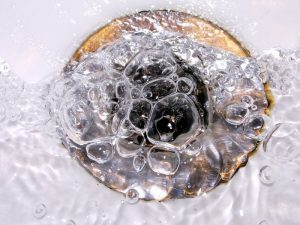 Taking care of stopped-up drains is one of the basic jobs of a professional plumber, and any licensed plumber knows how to tackle a wide range of causes for clogged and slow drains. 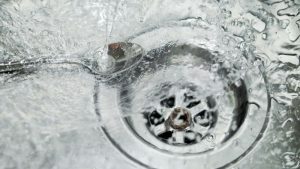 There are a number of drain clogs that plumbers see all the time: clots of hair caught in the p-trap of a bathroom sink, food waste in kitchen sinks, objects accidentally flushed down a toilet, and soap scum build-up in a shower drain. But most plumbers can also tell stories about super odd things causing drain clogs. 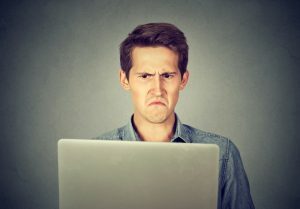 Here are a few of the more off-beat and unusual reasons for drain clogs—because even these can be helpful in understanding how to avoid future clogging problems.